Draft: 2014, San Francisco Giants, 8th rd. Attended Stanford University and was an All-Pac-12 First Team outfielder in 2014. Studied Science, Technology and Society as an integrated-studies major. Hit .310 to go along with five homers and 72 RBI in 113 career games during three seasons at Stanford. Had four stints with SF (April 27, April 28-May 1, May 14, and June 23 through the end of the season)...Played in a career-best 74 games...set career-highs in doubles (six), RBI (23) and stolen bases (seven). • Was 1-for-15 (.067) as a pinch-hitter...Batted .274 with runners in scoring position and .370 with RISP and two outs...According to Fangraphs, his 3.90 GB/FB (groundball to fly ball rate) was the highest in the Majors (min. 200 PA)...his 63.1% groundball rate was the highest in Majors while his 16.2% fly ball rate was the lowest (min. 200 PA)...Hit .344 with 24 doubles, five home runs, 32 RBI, 32 runs scored and a .981 OPS in 53 games for Sacramento. Hit .282 (33-for-117) in 34 games with SF, starting 32 games (29 in left, three in right)...Had his contract purchased from triple-A Sacramento on June 2...Was in the starting lineup June 2 at Philadelphia, starting in right fi eld and recording his first Major League hit off LHP Joely Rodriguez, a single in the 6th inning...Became the fi rst Giants rookie to hit .400 or better in his fi rst 10 career games since Pablo Sandoval hit .417 (15-for-36) in 2008 (min. 30 PAs)...Slater went 15-for-37 (.405) in his fi rst 10 games with the Giants...Played his first professional inning at third base on June 15 at Colorado...moved from left fi eld to third in the 7th inning after Eduardo Nunez left the game in the top half after injuring his hamstring...Recorded a career-best four hits on June 15 at Colorado and had 12 hits in a fi ve-game span from June 10-15...Missed 52 games with a right groin strain... suffered the injury on July 7 while running down the first base line...a MRI exam showed a torn adductor muscle, but Slater was told it was heal without surgery after eight to 10 weeks...Returned from his rehab assignment and was reinstated from the 10-day DL on Sept. 4...Had core muscle surgery on Sept. 28 performed by Dr. Myers...Hit .321 (59-for-184) with 12 doubles, five home runs and 27 RBI in 50 games with triple-A Sacramento. Started the season with double-A Richmond and hit .317 (46-for-145) with 14 extra base hits, 24 walks and 25 RBI over 41 games...Was promoted to triple-A in early June and appeared in 68 games for the River Cats, batting .298 (73-for-245) with 13 home runs and 42 RBI...Hit .412 (28-for-68) with 6 home runs and 14 RBI off lefties, compared to a .254 (45-for-177) average against righties while with Sacramento...Was named PCL Player of the Month in August after hitting .381 (43-for-113) and leading the league in total bases (77) and home runs (nine), ranking second in hits (43), on-base percentage (.444) and OPS (1.126) and third in RBI (26), extra-base hits (16) and slugging (.681)...he also posted 14 multi-hit games in August, including a stretch of four consecutive games with three or more hits. Split the season between single-A San Jose and double-A Richmond, combining to hit .294 (132- for-449) with 46 runs scored, 26 doubles and 47 RBI. Appeared in two games for the Arizona Rookie Giants and went 3-for-9 with a triple and two RBI before being transfered to Salem-Keizer...hit .417 (41-for-118) with 23 RBI in 29 games for the Volcanoes. 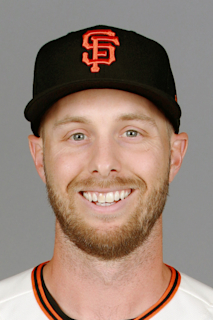 March 15, 2019 San Francisco Giants optioned LF Austin Slater to Sacramento River Cats. June 23, 2018 San Francisco Giants recalled LF Austin Slater from Sacramento River Cats. May 15, 2018 San Francisco Giants optioned RF Austin Slater to Sacramento River Cats. May 14, 2018 San Francisco Giants recalled Austin Slater from Sacramento River Cats. May 2, 2018 San Francisco Giants optioned RF Austin Slater to Sacramento River Cats. April 28, 2018 San Francisco Giants recalled Austin Slater from Sacramento River Cats. April 27, 2018 San Francisco Giants recalled Austin Slater from Sacramento River Cats. March 19, 2018 San Francisco Giants optioned LF Austin Slater to Sacramento River Cats. September 5, 2017 Austin Slater roster status changed by San Francisco Giants. September 1, 2017 San Francisco Giants sent LF Austin Slater on a rehab assignment to Sacramento River Cats. July 8, 2017 San Francisco Giants placed LF Austin Slater on the 10-day disabled list. Right groin strain. June 2, 2017 San Francisco Giants selected the contract of LF Austin Slater from Sacramento River Cats. February 1, 2017 San Francisco Giants invited non-roster OF Austin Slater to spring training. October 20, 2016 OF Austin Slater assigned to Toros del Este. July 5, 2016 Sacramento River Cats activated LF Austin Slater from the 7-day disabled list. June 25, 2016 Sacramento River Cats placed OF Austin Slater on the 7-day disabled list retroactive to June 24, 2016. June 2, 2016 OF Austin Slater assigned to Sacramento River Cats from Richmond Flying Squirrels. March 12, 2016 2B Austin Slater assigned to San Francisco Giants. September 6, 2015 Richmond Flying Squirrels activated OF Austin Slater from the 7-day disabled list. August 28, 2015 Richmond Flying Squirrels placed 2B Austin Slater on the 7-day disabled list. June 25, 2015 2B Austin Slater assigned to Richmond Flying Squirrels from San Jose Giants. April 28, 2015 San Jose Giants activated 2B Austin Slater from the 7-day disabled list. April 22, 2015 San Jose Giants placed 2B Austin Slater on the 7-day disabled list retroactive to April 20, 2015. April 4, 2015 2B Austin Slater assigned to San Jose Giants from Salem-Keizer Volcanoes. July 26, 2014 OF Austin Slater assigned to Salem-Keizer Volcanoes from AZL Giants. July 23, 2014 OF Austin Slater assigned to AZL Giants. July 18, 2014 San Francisco Giants signed SS Austin Slater.